Moving abroad? 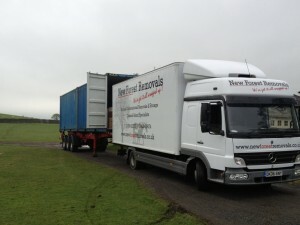 New Forest Removals offer a hassle free move to any destination in the world. We realize that moving, especially to another continent can be a very stressful experience – we aim to make your move a trouble free and smooth transition. We offer a door to door service where our destination agents handle all of the practical matters of import documents, customs clearance and delivery to your new property abroad. New Forest Removals also offer transport and packing of vehicles into containers, and worldwide shipping. Yearly, we are to chosen to pack and load containers of priceless race cars for the Goodwood Festival of Speed – with cars coming from and going to destinations worldwide. All our staff are trained in export packing, to wrap and protect your effects in transit to anywhere in the world. We have the facilities to make cases for the most delicate of items and for airfreight. Our staff will arrange customers clearance and delivery at your new destination. We offer a groupage service for small consignments by using our extensive contacts to find a load going to your destination.